“I was starting to drift in the wrong direction,” Ricki says. Though he had a good job as an accountant, Ricki started getting complacent as he grew closer to retirement age and began drinking more heavily. When the friends who owned the cabin he was living in asked him to move out, it was the wake-up call he needed to get his life back on track. Ricki enrolled in our P.A.C.E.S. (Purpose, Accountability, Christ, Education, Service) long-term rehabilitation program, determined to rebuild his life. 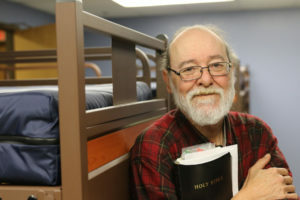 Here, through your gifts, he was blessed with the essentials of safe shelter, nutritious meals, and everything he needed to feel comfortable and at home. 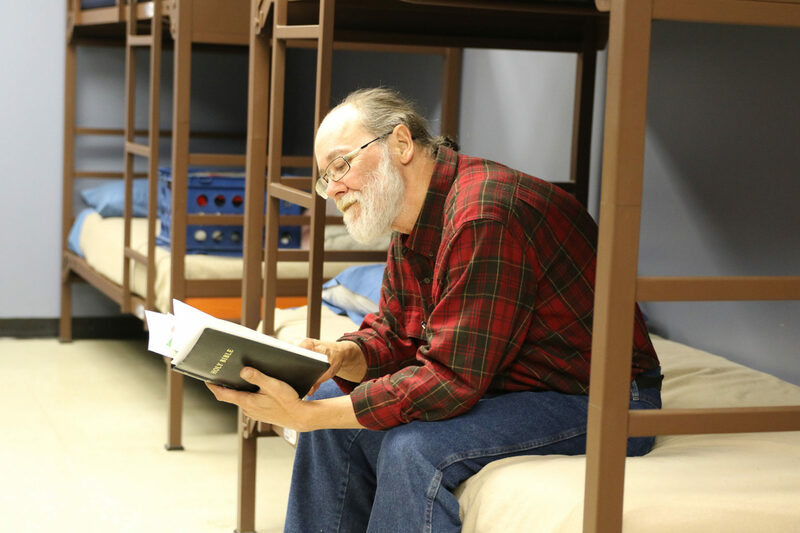 He committed his life to Christ and found strength and support through life skills classes and daily Bible studies.